Foreign Minister Mangala Samaraweera opened the proceedings of the 19th Session of the Sri Lanka-EU joint commission today. 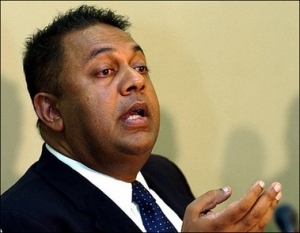 In his opening remarks Minister Samaraweera said that this meeting, which takes place just 82 days after the new government came to power, was a “useful opportunity to reset relations between the EU and Sri Lanka on a positive trajectory”. The EU is the single largest market for Sri Lankan exports and Minister Samaraweera conveyed the government’s keen desire to develop trade, investment and economic relations. In particular, he emphasized the importance of the GSP+ trade concessions and the lifting of the ban of fish exports to the EU. It is a pleasure to welcome all of you to the 19th Session of the Sri Lanka – EU Joint Commission. This, as you know, is the first Joint Commission that I am chairing since I assumed office as the Minister of Foreign Affairs on the 12th of January. I am happy that this important meeting, which takes place about 82 days after the Government of President Maithripala Sirisena was established, affords us a useful opportunity to re-set relations between the EU and Sri Lanka on a positive trajectory. Sri Lanka’s relations with the EU date back exactly 4 decades when the Government of Sri Lanka signed a Commercial Cooperation Agreement in 1975 with the European Commission. Our meeting today also coincides with the 20th anniversary of the entry into force of the Cooperation Agreement on Partnership and Development in 1995. These milestones, I am sure, will inspire us as we undertake the task of renewing our engagement and enhancing our cooperation through dialogue and partnership. Having assumed office in January, the second official overseas visit that I undertook as Foreign Minister was to Brussels. This signifies the great importance that the Government attaches to Sri Lanka’s cooperation with the EU, and the priority we accord to addressing issues of concern through direct and frank dialogue and exchange of views in a spirit of cooperation and understanding. My visit enabled productive discussions on a wide range of subjects including the confirmation of dates for this meeting of the Joint Commission that takes place today. The election of President Maithripala Sirisena a little less than 3 months ago and the formation of the new Government marked an important change of direction for the country in terms of its engagement with the international community as well as its approach towards important aspects of nation building in the post-conflict context. As you are aware, 81.52% of the registered voters in Sri Lanka from all parts of the island including the former conflict affected areas in the northern and eastern provinces exercised their franchise at the election in January. It was the largest ever voter turnout in the country’s history. Despite calls from some both within and outside the country to boycott the election, the people of Sri Lanka asserted their right to vote. What is important is that all communities united in electing President Sirisena and it could be said therefore that for the first time in our history, we have a President who is truly representative of all communities in this country. It is also significant that the people came together to elect a President who promised them a united New Sri Lanka in which ethnic, cultural and linguistic diversity is respected, celebrated and valued. They chose a leader who would fulfil their aspirations of strong and independent democratic institutions, freedom of expression, the rule of law, good governance and the promotion and protection of human rights. In doing so they rejected outright a regime under which the rights of the individual had been violated with impunity for almost a decade. The NGO Secretariat which was previously under the purview of the Ministry of Defence was shifted to the Ministry of Policy Planning and Economic Affairs. On the first Independence Day ceremony in Sri Lanka since the election, on 4th February, the Government, departing from previous practice, acknowledged for the first past tragedies that had taken place in the country and emphasised the urgent need for healing and unity. Addressing the nation, President Sirisena made a commitment to work towards reconciliation and to unite the minds of the people of all ethnic and religious communities in the country. The Government also made a ‘Declaration of Peace’ paying respects to the citizens of the country of all ethnicities and religions who lost their lives due to the tragic conflict that afflicted the country for over three decades and to all the victims of violence since Independence. A commitment was made to ensure that never again will the country be allowed to be traumatised by the shedding of blood of her own citizens. Just days after assuming office, the President replaced the former military Governors of the Northern and Eastern Provinces of the country with two senior former civil servants. This set in motion the process of strengthening civilian administration in these provinces including cessation of military involvement in civilian activities, review of high-security zones and releasing of land for resettlement of the internally displaced. The Cabinet of Ministers has already identified and approved the release of one thousand acres of land from the high security zone and title deeds for 425 acres of this land were handed over to their rightful owners on 23rd March. In a significant step, the practice of singing the National Anthem in Tamil was revived at the ceremony held on this occasion, where both the President and the Prime Minister were present. The UN Country Team which includes UNHCR is in active discussion with the Ministry of Resettlement and other relevant entities to work out resettlement plans for the internally displaced. We urge the EU to extend assistance to this important programme. The 19th amendment to the Constitution, which will abolish the executive powers of the President, was tabled in Parliament on the 24th of March and is scheduled to be taken up for debate on 9th and 10th April and we are hopeful of its successful passage. The amendment will repeal the controversial 18th amendment which removed independent appointments to key commissions and abolished the term limits of the Executive President. The 19th amendment will curtail the executive authority of the President and transfer powers to the Prime Minister, Cabinet and Parliament. It will also provide for independent Judicial, Police, Public Service, Elections, Corruption, and Human Rights commissions. The Bill on Assistance and Protection to Victims of Crime and Witnesses which was delayed for over 5 years was passed unanimously by the Parliament on 19th February. We envisage that the Right to Information Act could also be passed within the 100 days of the Government, before the end of the month, and ahead of the General Elections. These steps will strengthen the independence of institutions required for the establishment of good governance, the rule of law and measures that are essential for the success of the process of reconciliation. Recognising the need to rebuild trust, harmony and an inclusive nation to bring about reconciliation, the President has set up a Special Presidential Task Force on Reconciliation which will function under the chairmanship of former President Chandrika Bandaranaike Kumaratunga. This mechanism would, among other matters, identify immediate problems that require to be solved and recommend solutions to achieve reconciliation. Cabinet approval was granted just yesterday to set up an Office of National Unity. Discussions are already underway to look at ways and means of expanding the scope of human rights in line with internationally accepted standards. Recognising that the previous Government failed to implement the recommendations of the Commissions that were set up at the time, including those made by the Lessons Learnt and Reconciliation Commission (LLRC), action is now being taken to explore steps that can be taken in this regard. This includes examining incidents identified by these Commissions as serious violations of human rights which warrant further investigations and a criminal justice response. The content of the Report of the OHCHR Investigation on Sri Lanka when it is released in September will be taken into account by domestic investigative and judicial mechanisms which we envisage setting up. The Government has already begun discussions regarding the nature of local mechanisms that should be put in place for this purpose including amendments to existing laws. In this connection, discussions are already underway with the High Commissioner for Human Rights who I met personally in Geneva on 2nd of March. We are also drawing on expertise to learn from experiences elsewhere. We received in this connection, a delegation headed by the Deputy Minister of Foreign Affairs of South Africa in February. Consultations are also being held with the Special Rapporteur for the promotion of truth, justice, and guarantees of non-recurrence to understand how reconciliation and related issues could be addressed in a holistic manner. Consultations are also underway with the ICRC to explore the best means of consolidating the lists of missing persons and addressing related areas of concern. The Government has invited the Working Group on Involuntary and Enforced Disappearances and the High Commissioner for Human Rights. Both visits are expected to take place before September this year. There are many areas in which Sri Lanka wishes to engage with the EU. The EU is the single largest market for Sri Lanka and we are keen to develop trade and economic relations. I am pleased to note the positive and constructive discussions at the meeting of the Working Group on Trade and Economic Relations Cooperation on 24th March, especially those relating to the process of reapplying for the GSP+ trade concessions under the EU GSP scheme. I am also aware that measures are being taken to address outstanding issues with regard to the ban on fish and fishery exports from Sri Lanka to the EU. As a country that has suffered from terrorism for many decades, Sri Lanka is appreciative of the prompt action taken by the European Council to appeal the decision of the General Court of the EU to annul the Council Implementation Regulation applicable to the listing of the LTTE as a terrorist entity. We welcome the recent announcement with regard to the continued listing of the LTTE as a terrorist organization in the EU. Sri Lanka condemns terrorism in all its forms and manifestations and is committed to working with the EU and Member States in this regard. As importantly, we know that sustainably eradicating terrorism requires us to go beyond dealing with its symptoms. We will remedy the root causes of injustice, discrimination and prejudice that have spawned hate and violence for many decades. This government will break from this past and is deeply committed to make our vision of a multi-cultural, multi-ethnic and multi-lingual Sri Lanka based on the principles of equality, justice and meritocracy a reality for all Sri Lankans. In conclusion, let me re-iterate that the Government is firm in its resolve to continue the historic journey that we undertook with the mandate of the people on 8th of January. In this journey, the Government considers the international community, including the EU, an important partner. If reconciliation is to succeed, trade, investment and development cooperation are essential and I look to the EU to partner Sri Lanka in this process. The army has a different perspective on its presence in the north, radically different from what was stated by the foreign minister. Unless the Prevention of Terrorism Act is repealed, the army and police have quasi-judicial powers/functions which allow them to arrest anyone labelling him/her as ‘LTTE’ or Ex-LTTE and incarcerate them in special centres, without production before a judge – or “rehabilitate” them in army camps. Therefore, all this assurance of Rule of Law by the minister is unbelievable. Jeyakumai Balendran is yet to be prosecuted in a court of law. and opportunity to allow witnesses show these prisons without hindrance and threats is so far not forthcoming. The notion of “national Unity” is too broad and vague. It does not mean anything and it will raise unnecessary questions. Perhaps, you should think about Office of inclusion and diversity or Office of Multiculturalism. The police powers given to the army has been under the Prevention of Terrorism Act has been allowed to lapse at the commencement of the year. There are no reports army questioning people in the North or East. Mangala Samaraweera is one of the few progressive minded minister in the cabinet. He genuinely believes that unless there is ethnic peace no progress can be made on the economic front. If Sri Lanka reneges on UNHRC resolution it will be taken to the laundry for cleaning by the international community. 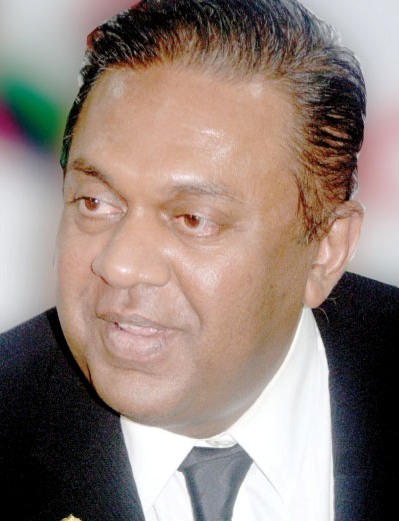 The Thamils are counting on Minister Samaraweera for an equitable resolution of the ethnic conflict to the satisfaction of all three communities. The extremists on both side of divide must be isolated.